Traveling with a new airline can bring on a whole load of questions, especially around baggage allowance. But don’t worry, liligo.com will give you the low down on what you need to know in order to have a fee free vacation. 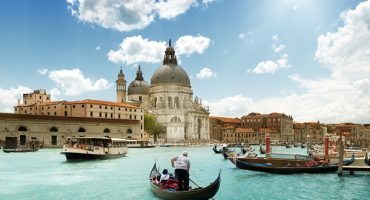 Book your cheap flight with United Airlines through liligo.com travel search engine. Each traveler can bring one carry-on bag plus one personal item on board free of charge. You must make sure these items are within the required measurements so they fit nicely within the overhead bin or under your seat. Your personal item shouldn’t exceed more than 9 x 10 x 17 inches and your carry-on bag shouldn’t exceed 22 x 14 x 9 inches (including handles and wheels). If your baggage exceeds these measurements your items will be checked to your final destination and chargers will apply. In addition to your one bag and one personal item you are allowed to bring the following items on board: Jacket or umbrella, reading material, food or merchandise purchased in the airport, assistive devices, FAA-approved child restraint system or safety seat, diaper bag, breast pump and pet carrier (service charges apply for in-cabin pets). The maximum exterior dimension (length + width + height) of standard checked baggage is 62 inches (including handles and wheels). 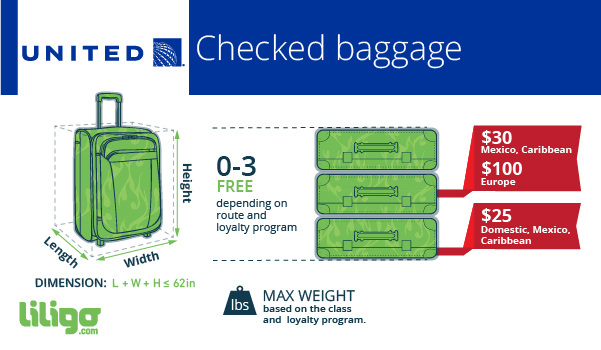 The maximum weight for a checked bag is based on the class of service and on the traveler’s loyalty program. The maximum weight per bag for United Economy is 50 lbs, and for United Business, United BusinessFirst, United First and United Global First is 70lbs. Depending on your route you will get between 0-3 bags checked for free. If you’re flying domestic your first checked bag will be $25, and your second checked bag will be $35. For Europe your first checked bag will be free, and the second will cost $100. For Mexico your first checked bag will be $25 and second will be $40. Hello, im still confused, we are flying from Manchester England to Las Vegas, Las Vegas to San Francisco, San Fran to Cancun, Cancun to Manchester England. I am not a seasoned traveler so I am concerned about the carry on bag I will be taking with me for an upcoming trip to Alaska traveling from New York. I purchased a LUG brand Puddle Jumper Wheelie to use as my carry on based on reviews. 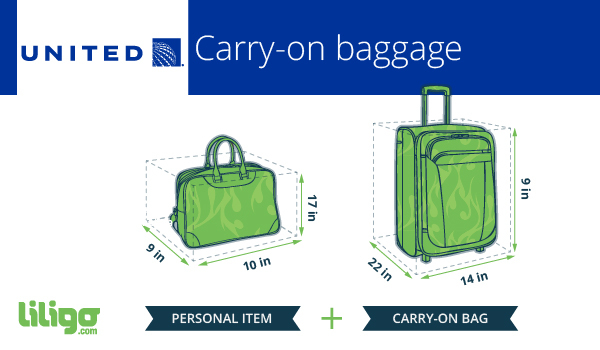 However, now I am doing more research and see your dimensions for carry on is 22x14x9 and the LUG bag is 21×15.5×9……..Will this bag be considered a carry on by United standards? I am a nervous traveler and would hate to have to check it at the last minute. PLEASE….any info will be helpful. Hi, I have a quick question. I am fly United from LAX to Singapore. I am confused when measuring my checked luggage because it said.to include handle and wheels. I get the wheels part but I’m confused about the handle part. When they say measure including the handle, do they mean the teloscoptic handles? And if they do mean the teloscoptic handles, do I measure that fully extended of not fully extended? I called United twice and got two different answers. Two representatives said not extended and one representative said fully extended. So which is correct? Thank you so much. Thanks for your interest in our blog. Bag sizes are usually measured with the handle down in its hatch. The rationale of having bag size limits is being able to calculate the space they take up when stored in the aircraft’s hold, and they won’t be stored with the handle extended. Hello, I’m traveling United to Costa Rica from Amsterdam stoping in Toronto and then from Costa Rica to Amsterdam with layover in Chicago, how many bags I get to check in each way? Hello I’m flying and bought the basic economy ticket and I can take one personal item I measured it and it’s over by an inch? Is there an inch or so allowance??? Many thanks for your interest in our blog. Airline staff will often carry out spot checks of the bags at the gate. While they will often be accommodating, ultimately it’s their decision whether to let you bag through or not. So if you want to make 100% sure, you should consider taking a different bag. My parents are going home to Asia and are allowed 2 checked in baggage each (4 total for both of them) at 23kgs per bag.2 bags weigh 20kg each bjt the other 2 bags are at 28kg each.Will United offset the weight of the bigger bags to the weight of the lighter bags OR do a group checked in baggage to comply withthe weight requirement? I purchased a ticket from Texas to Jamaica, however I’m just realizing the policy for the tickets says “No Luggage” and unfortunately I’m unable to cancel or change the ticket. Could you kindly explain exactly what that policy means and is there anyway possible I could buy luggage space in advance before my travel date? Many thanks for your question and your interest in our blog. “No luggage” usually means no checked luggage, i.e. you should still be able to bring one “personal item” and one carry-on bag on board with you. If you’d like to check a bag, you can add it to your booking depending on where you booked your ticket originally: either through the United website or the call center on 1-800-864-8331. Hope this helps. Have a good flight! I have a question. I am traveling within the US. And I have a basic economy ticket and I was wondering if I am still able to bring luggage? Even if I have a basic economy ticket. And will you please tell me the prices and different ways I can pay. It’s my first time flying and I am really confused on how everything works. Many thanks for your question and your interest in our blog. You’re only allowed to bring one “personal item” on board on a basic economy ticket and have no checked luggage allowance. If you need to take more luggage with you, you’ll have to upgrade your ticket. You can do this online (if you booked your ticket online) or through the United call center on 1-800-864-8331. 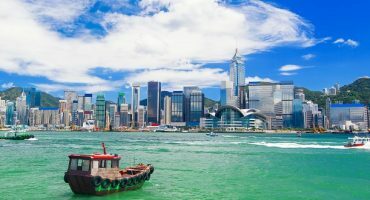 The prices vary depending on your route, though for domestic flights they are generally lower than for international routes. I hope this helps. Have a good flight! I just booked a flight from SLC to Atlanta with United. There is a note on the flight that says: “Adult baggage allowance: no bag” I am concerned. I wanted to do a carry on, but not sure what that message means. Can you tell me what it means. Many thanks for your message and your interest in liligo.com. The carry-on allowance on United depends on your flight class. Most passengers are allowed one full-sized carry-on bag plus one personal item (i.e. shoulder bag, purse, laptop bag or other small item) free of charge. However, if you booked your flight on Basic Economy, you will only be allowed a small bag on board. Unless you have indeed purchased Basic Economy, my guess is that the note refers to your checked baggage, which means that you will be able take 2 carry-on items. But if you have any doubts, don’t hesitate to contact us again or call the United hotline on 1-800-UNITED-1. I want to carry a tote bag as my purse on a domestic, international flight to Ireland. It is burlap and measues 5x21x15.Will I be permitted to use it on this flight? I am traveling from Spokane to San Antonio, I am flying basic economy so I am allowed a carry on bag if I meet the requirements of size. Hi we will be traveling united from vancouver to virginia and we have 1 bag to be checked in. However i cannot seem to book or indicate that i have 1 check in bag when i did my booking. Is this something that i have to do online when i do my online check in or at the counter as other airlines i have travelled on had a pre-paid check in luggage option which i booked and paid in advance. Hope to hear back. Thanks! Im flying to Shanghai China and need to take some ukulele. If I understand correctly I can take 0-3 bags free? So…1-Suitcase 2- boxes , 62″ and 50 lbs. right? Hello , my baggage is 3cm bigger then it’s allowed , if they notice that how much would they charge me ? What is the chance that a 63.5 inch bag bought at Target that says it is compliant will be flagged as being 1.5 inch oversized by United? Two of these fees round trip would be $800 (2x2x$200). Two bags over and two back. If I am flying from BWI to LAX and I have a six year old and a three year old plus two adults how many carry on luggage and personal bags can I bring . As far as we are aware, children are able to travel with the same amount of luggage as adults, as tickets are sold at full fare for both. Therefore, you should be able to take 4 carry on and 4 personal items on board, assuming you are traveling in economy class. However, we would recommend double checking with United to be sure! This will be our first time flying and we’re flying from Arizona to San Francisco with United economy. If I’m understanding correctly personal item bag and a carry-on bag is free as long is the requirements are met and if we bring an additional luggage that is considered checked baggage which is $25 for the first bag and $35 for a second bag. Sorry, I’ve been trying to call costumer service line and I waited an hour the got disconnected twice. We’d also recommend double checking you aren’t flying Basic Economy; this should be specified on your tickets or booking confirmation, and comes with different baggage regulations. We hope this helps – have a great first flight! G’day. If I was travelling from Melbourne Australia to LAX with United Economy can I have 2 checked in cases as long as the weights are no more than 23kg each. And also the combined size (L +W+D) is no more than 62″ each? I am traveling from Colombia to LAX. Am I allowed to bring a personal item, 2 bags and my computer? As mentioned, travelers with United may bring one carry-on bag plus one personal item on board free of charge. For your trip from Colombia to LAX, you should also be able to check in two bags. Hello!I am flying to Frankfurt from Seattle,on my ticket it is wriiten “baggage allowance:1PC.Does it means I can take 1 checked in baggage no more than 23kg and one personal item and carry on bag in a board no more than 8kg together?And can a personal item be a backpack? Thank you for your comment. For your flight from Seattle to Frankfurt, you should indeed be able to check one item of baggage, with a weight of no more than 23kg. You will also be able to take one carry on bag as well as one personal item on board – taking a backpack as your personal item should be fine, however it will need to fit within the maximum dimensions allowed (9 x 10 x 17 inches). My husband and I are traveling back home from Hawaii. Can we pack souvenirs in our checked luggage such as coffee and nuts? Two of us are travelling from Washington DC to Sydney, Australia via San Francisco. We have 1 checked in baggage each. Do we have pay for that? We hope this helps – happy travels to Sydney! Hello , I would like to know about the Luggage limit per passenger in Economy ( Flexible ) Category . Please specify how many Bags are allowed as standard .Thanks. I’d like to know that how much weight can I carry on carry-on? Is it 18.1KGS 40LBS? My son and his girlfriend are traveling to Denver from DFW Airport, Economy .. Are they allowed a carry on and are they charged per person $25 each for checked bags or is considered $25 + $35? As mentioned, travelers with United may bring one carry-on bag plus one personal item on board free of charge. When it comes to checked baggage, the fee is per person/ticket – so, if they will travel with one checked bag each, the cost will be $25 each. Booking checked baggage in advance will allow you to check the exact costs per bag. I am traveling from Charlotte to N.Y. . I have 2 bags ( 25 lbs each) Would my cost be 25.00 1st bag + 35.00 2nd bag = 60.00 TOTAL……is this correct? Thank you for your comment. Yes, your first checked bag will cost $25 and the second $35, making a total of $60. It’s worth noting that United allows checked bags with a weight of up to 50lbs each – therefore, if you’re able to combine your baggage into one item, you could save that extra $35. To be sure, we always recommend double checking with the airline before you travel. Thank you for your comment. As mentioned, when traveling on domestic flights with United Airlines, your first checked bag will cost $25. 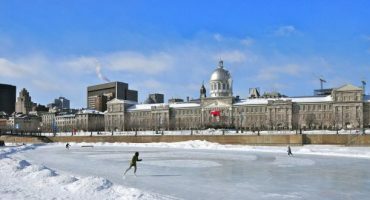 I am going from Boston to Chicago and I can bring only personal item because it is Basic Economy Class(United Airlines). Do you know how much it will cost to bring baggage under 23kg? Thank you for your comment. When traveling in basic economy, the same fees for checked baggage apply as in standard economy. Therefore, to check a bag up to 23kg in weight, the fee will be $25. Thank you for your comment. 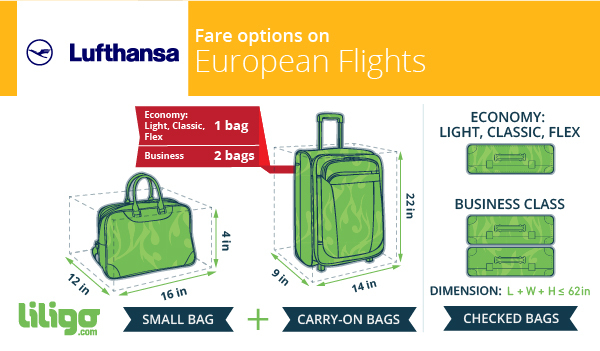 If your bag is not over weight or over sized, then we can see no reason why you would be asked to pay extra. Your post has been a big help. I have just a doubt. I am in Mexico and I am traveling to Houston, Tx. I am just taking a carry-on bag and my personal item (purse). My carry-on bag is small and I think it fits in the overhead bin even though my bag includes handle and little wheels). My question is even though i am taking this carry-on bag i have my personal things like perfume, toothpaste, etc… Do United Airlines here in Mexico allows if I’m taking those things? Or should I check-in my carry-on bag? Thank you for your comment – we’re glad our post has been helpful! Whether or not your personal items such as perfume and toothpaste are allowed on board, in your carry-on bag, will depend on their volume: liquids over 3.4oz (100ml) cannot be taken through airport security in hand luggage. If they’re under 100ml, and adhere to all other security requirements, you should be fine to take them in your carry-on bag. To be sure, we always recommend checking with the airline before traveling. Hi! I’m flying from Europe to Chicago so I need to pay a fee of 25 bucks for the first checked bag whereas the carry-on baggage and the personal item are free, right? We are flying United from Sydney,Australia to Buffalo, New York in July. Do we have an allowance of 2 checked in bags for free, as long as they don’t exceed the dimensions and 23 kg in each bag limit? Therefore, each of us can check in a total of 46kg? Hello! 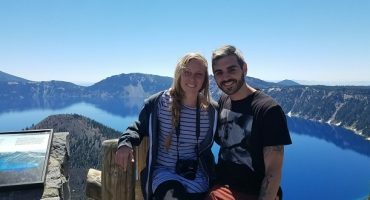 I’m flying from okc to Mexico with my daughter, i have 2 bags on me, so how does the checked charge work? Thank you for your comment. The checked bag charge will depend on the size and weight of your checked bags. Assuming they are within the size and weight restrictions, then your first checked bag will be $25 and second will be $40. However, we would always recommend checking in with United to be sure. Hi am taking a flight from Chicago to Columbus and I have a 23 kg bag on me. What cost will I incur on united. As mentioned, United allows up to 50lbs per bag in Economy class (which equates to 23kg). The first checked bag on domestic flights will cost $25, therefore for your trip the cost should be $25. What about international flights from the US to China? Three free checked bags for first or business class? Is a painting roll wraped in a roll considered one checked bag? Thank you for your comment. In first class you should be able to take three checked bags; in business and economy, two bags can be checked. United accepts checked baggage with total dimensions of no more than 62 inches (158 cm), so if the painting roll fits within these criteria it should be OK. However, we’d recommend checking with United before you travel. Okay, so if your checked bag is a half-inch over, is that a major problem? Will there be extra fees for that? I’m not very wealthy and can’t afford to go around buying new durable bags of a large size, but I’m going on a school trip to London and Paris. We will be flying United the entire way. My bag is a blue solidly built Calpack with measurements that add up to 62.5″ according to the tag. Will the airline be that particular about it? I know they can be picky when people are flying internationally, but I’m hoping. Thank you for your comment. While we can’t say for sure how strict the airline will be, we can’t imagine an extra half inch will be that noticable (it’s also worth bearing in mind that the maximum dimensions of 62 inches includes handles) and we would go for it. However, ultimately it’s a judgement call you’ll need to make at your own risk and we can’t speak on behalf of the airline 🙂 We hope this helps, and have a great trip! so I can bring a carry on bag and a personal item with no charge …i will be flying with my infant is that including diaper bag ? I am flying with United Airlines in two weeks time and just wanted to ask a few questions about foods allowed in my carry on/checked I’m bags. Is it ok to bring fruit such as apples, cereal bars, cereal in a clear zip lock bag and a loaf of bread wrapped in clingfilm.